Were you fortunate enough to see The Gruffalo? We were and I must say that it was exceptional – minimal sets and actors that were extraordinarily expressive and very funny brought this much loved book by Julia Donaldson and Axel Scheffler to life. The Gruffalo’s Child runs from April 8-21, 2011 at Sydney’s Seymour Centre in Chippendale. Tickets are $25 each, with group discounts available. Book through the Seymour Centre or Ticketmaster. 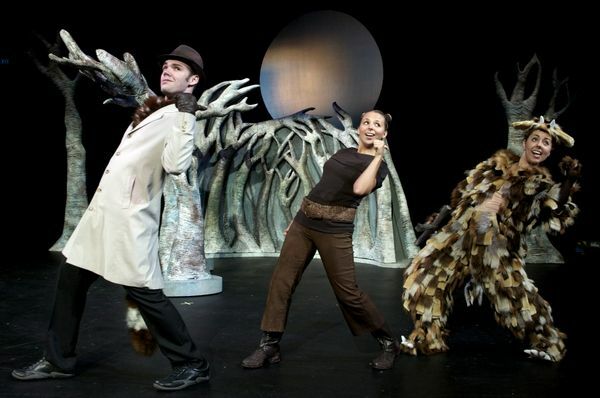 Look out for The Gruffalo’s Child in Canberra, Victoria and South Australia from July 2011. If you’re a ‘read the book before you see the movie’ kind of person, get a copy of The Gruffalo’s Child at Book Depository for $5.96, including delivery.